The flowers are blooming, the birds are chirping, and warmer weather is right around the corner. Spring is here and that can only mean one thing: it’s the season for participating in #The100DayProject! #The100DayProject is a free online art project that invites creators of all kinds to create something new for the next 100 days. Everyone is invited to participate -- it doesn’t matter where you live or what kind of medium you use. You just have to dedicate yourself to doing something for the next 100 days, make your participation official, and post proof of your progress on Instagram every day with the hashtag #The100DayProject (tag your work with #The100DayProjectSkillshare too, so that we can cheer you on!). The project is a great way for you to share your talents, stick to resolutions, develop your skills, or try something totally new. Just be prepared to set your goals fast! #The100DayProject officially starts April 2. Whether you want to use this 100-day period to learn hand lettering, experiment with new paint mediums, work with digital tools, or something else entirely, Skillshare’s classes can help you make the most of your creative energy. Here are five ways to use Skillshare to support your goals and make the next hundred days a truly productive (and fun!) time of year. 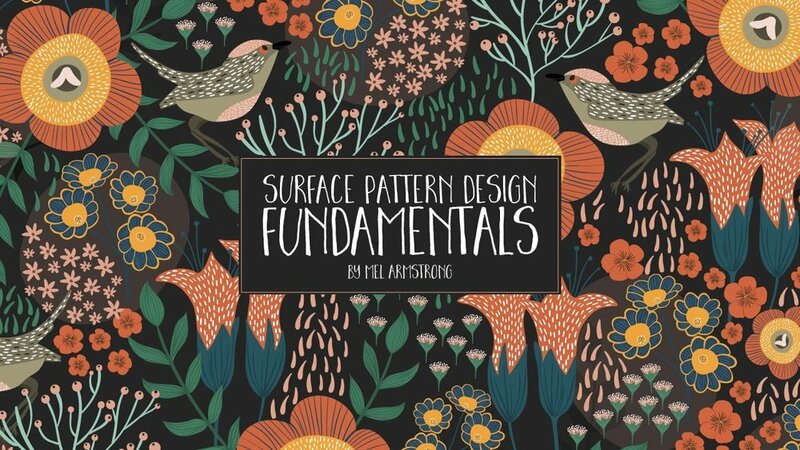 Skillshare has hundreds of great surface pattern design classes that teach tools, tips, and techniques that you can use to create floral, geometric or character-driven designs. Skillshare Top Teachers Mel Armstrong and Bonnie Christine teach easy, fun classes that will introduce you to the basics of surface pattern design and how to create your own. Want to begin your 100 days with something a little more advanced? Check out Top Teacher Dylan Mierzwinski’s class on playing with patterns to create more layered designs. It’s the perfect season to master Gouache and watercolor; the two paints lend themselves particularly well to landscape and botanical painting and are light enough to be used outdoors. If you are looking to begin your artistic journey with either paint, Skillshare’s classes like Top Teacher Ana Victoria Calderón’s Modern Watercolor Techniques and Leah Goren’s Skillshare Original Learn to Paint with Gouache are both great places to start. If you’ve tried working with watercolor and gouache before and want to spend #The100DayProject mastering new techniques, try Top Teacher Amarilys Henderson’s classes on creating watercolor florals or lettering designs. Vanessa Gillings teaches a great Skillshare Original class on using gouache to paint whimsical characters, too. Want to spend the next hundred days learning to shoot more interesting photographs? Whether you’re working with an iPhone or a DSLR, Skillshare has plenty of classes to help you improve your shots and create more successful work. Want to hone your portrait photography skills, check out Benjamin Heath’s Skillshare Original, Shooting with Natural Light, or Zun Lee’s Skillshare Original on how to become better at street photography. If you’re more interested in shooting the environment around you, Chris Burkhard and Trashhand both teach popular Skillshare Originals that will help you create better landscape and cityscape photographs. And if you want to learn to take better pictures of your food? 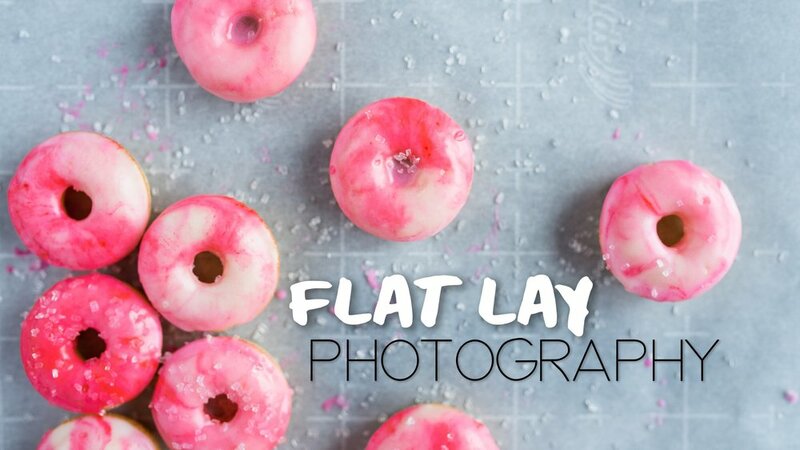 Culinary photographer and Skillshare Top Teacher Tabitha Park teaches dozens of classes to help you do just that. Learning how to animate is a great way to grow as an artist, expand your portfolio, and to have a ton of fun creating shareable work. Ready to get started? 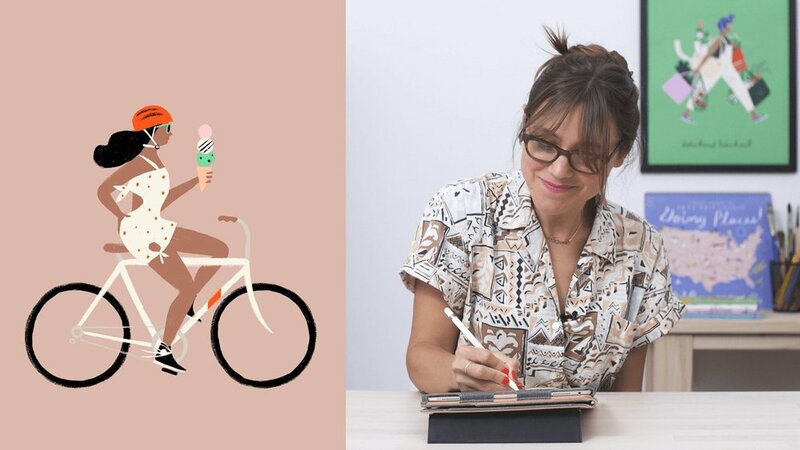 Libby VanderPloeg teaches a Skillshare Original class on how to use Procreate and Photoshop to add simple movement to your illustrations, and Fraser Davidson has a great one on Simple Character Animation, too. Looking to start with something a bit more advanced? Motion Designer and Skillshare Top Teacher Jake Bartlett offers a wide range of AfterEffects classes to choose from, including this one on how to use the program to create a stop motion animation effect. Hand lettering is a beautiful art from that takes practice to master - exactly the kind of creative outlet that is perfect to dedicate 100 days towards. If you’ve never picked up a calligraphy pen or brush before, Skillshare has a few classes that will introduce you to the medium. 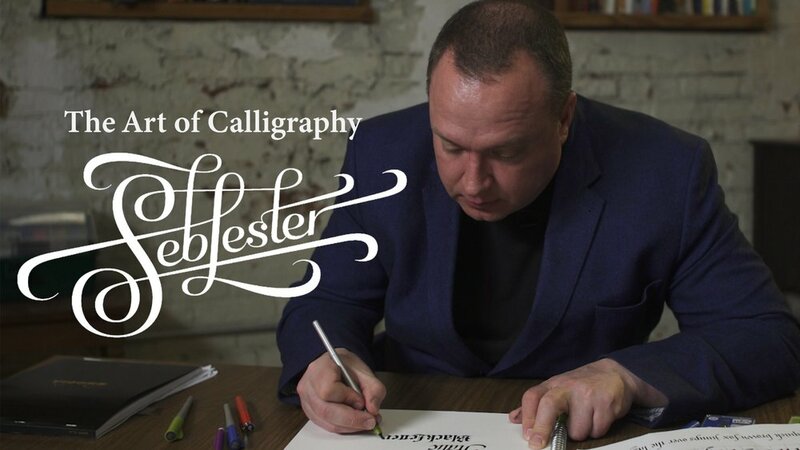 Start with world-renowned calligraphy artist Seb Lester’s Skillshare Original, Calligraphy Essentials, or check out Mary Kay McDevitt’s class on the fundamentals of hand lettering. Want more advanced stuff? 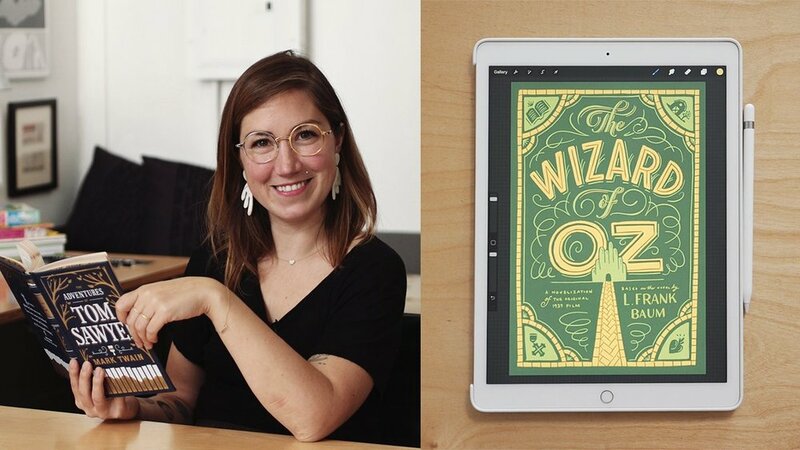 Award-winning letterer and illustrator Jessica Hische teaches three must-see Skillshare Original classes including her latest, Illustrated Lettering: Design a Book Cover with Jessica Hische that gives you an opportunity to apply your lettering skills to larger design projects. …and if your creative goal is to figure out a goal? If you’re still not sure about what you want to do for the next hundred days and need a little artistic inspiration in order to begin, Skillshare Top Teacher Rich Armstrong has a brand new class, The Perfect 100 Day Project: Your Guide to Explosive Creative Growth that might be right for you. In it, you’ll find a ton of tips and tricks to help you kickstart your creativity and make the next hundred days as successful as possible. Whatever you decide to do for the next 100 days, don’t forget to tag your work with #100DaysProjectSkillshare so that we can cheer you on! We’re always here to support your work, no matter what your creative goals are.